Horrified at the idea of half term AND throwing a Halloween bash for your little terrors? 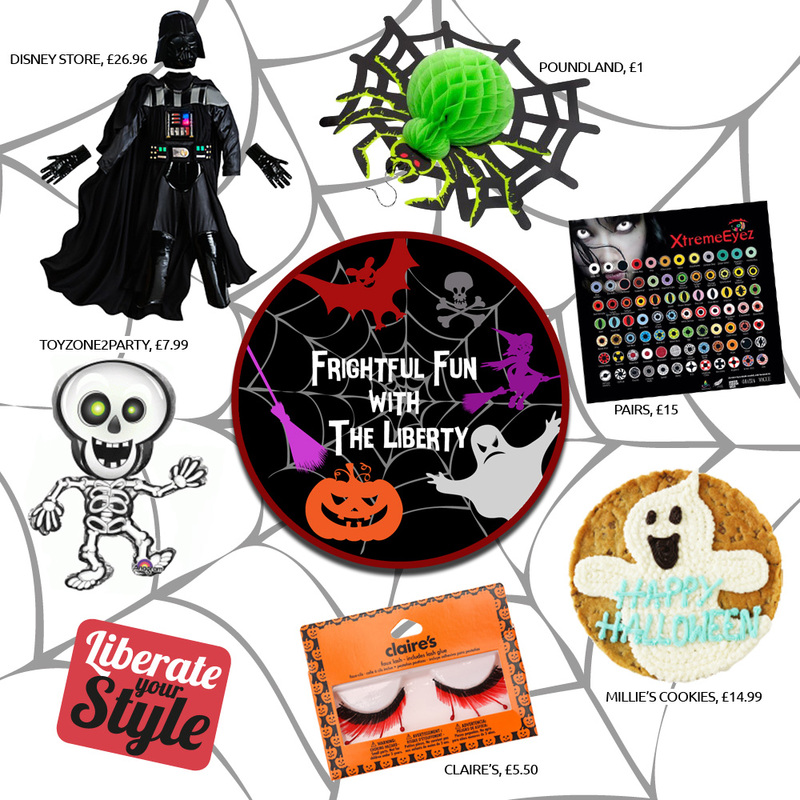 Don’t be afraid – from gruesome grub and creepy costumes, to devilish decorations and attention-grabbing activities, The Liberty Shopping Centre, boasting more than 100 of your favourite shops, has you covered. During the half term break (Monday 26th – 30th October, 10am – 4pm) there will be fun for all the family, with Halloween arts & crafts, a trick or treat treasure hunt, spooky face painting and wizard storytelling. The devil is in the detail, so don’t forget your wigs, masks, fake blood, fangs and face paint! These blood splattered false eyelashes (£5.50) from Claire’s are a great spooky addition. And these contact lenses (£15) from Pairs will make the adult’s Halloween costumes even more authentic! Next, spookify your space indoors and outdoors with Poundland’s great value range of decorations and tableware from scary scene setters, ghostly lights and these grisly spider props, (£1 each). Continue your spine-tingling atmosphere with a frightening feast filled with sweet treats like this giant ghost cookie (£14.99) from Millie’s Cookies. Finally, get your guests into the spirit with a wicked selection of ghoulish games and party accessories galore from Toyzone2Party, including piñatas, giant character and personalised balloons, arts and crafts products and these fun party skeleton props (£7.99).